Each of the clouds that continually paraded over the Charlotte Amalie harbor on Friday brought with them a different microclimate and meteorological condition. 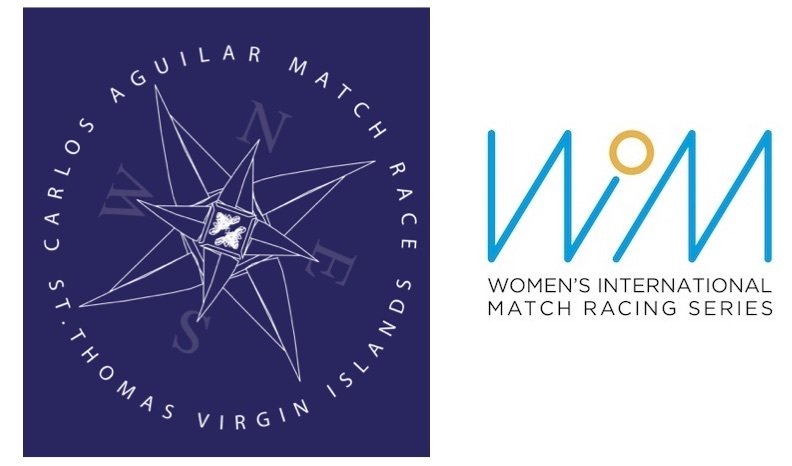 These natural elements tested the tactical skills of the 12 international teams who raced the first full round robin’s flights 12 through 19 on the second day of racing in the 2018 Women’s International Match Racing Series (WIM Series) Finale, hosted at the Carlos Aguilar Match Race (CAMR). For some teams, reading the wind shifts correctly proved advantageous to out-distancing a competitor. French skipper Pauline Courtois did with aplomb, as she and her Match in Pink by Normandy Elite Team of Maëlenn Lemaître, Louise Acker and Sophie Faguet remain undefeated and in the lead. For others, like Swedish skipper Johanna Bergqvist and her Bergqvist Match Racing Team, it meant the chance for a come-from-behind victory. 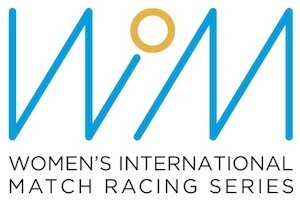 Looking ahead to Saturday, it is Courtois, Bergqvist, Sweden’s Anna Ostling and France’s Margot Vennin, who are strong contenders to move into the quarter finals of the 2018 WIM Series Finale at the Carlos Aguilar Match Race. Racing continues starting at 9 a.m. local time. Match racing is sailed in two identical boats around a short course, providing fast action close to the crowds on shore. The intense racing is just as exciting for the spectators as it is strategically, tactically and physically challenging for the competing crews. Known internationally for introducing young sailors to the sport, CAMR organizers work cooperatively with the V.I. government and V.I. Department of Tourism in its efforts to get more of the island’s youth out on the water. As such the event hosts the CAMR Youth Regatta, which takes place on Saturday starting at 11:30 a.m. Members of the Boys & Girls Club of St. Thomas, who have also been enrolled in the Marine Vocational Program, will crew for the women match race skippers in a best of three fleet race.